Note : Please check the latest article for updated instructions. Asianet Dataline is an ISP which operates in Kerala. They now provide free night time usage from 2 AM to 6 AM for Plans WOW 249, Homenet 475, Homenet 950 and Homenet 1500. First extract the curl-adl.zip which you can download from the above link. After that edit the file curl1.bat using Notepad and enter your username and password. If your login URL is different please edit the IP too. 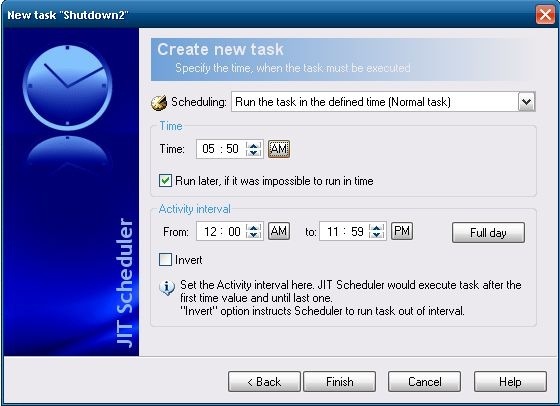 Also install the JIT Scheduler from the link above. Now open JIT Scheduler and click the ‘New’ task button on top and enter the details as shown in the images below to login automatically at the specified time. Also repeat the process every 5 minutes incase you are automatically logged out by the system. 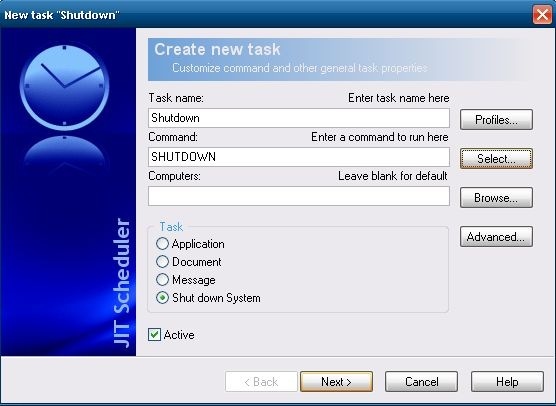 Now create another task to shutdown the system at 6 AM. Do as shown in the images below. The above process will automate the login and logout process. Now you need to use a download manager like Flashget to download the files and you can use the inbuilt scheduler in Flashget to start the downloads at 2 AM and stop at 6 AM. If you are using torrents, µTorrent also has an option to schedule the downloads. You can find the option in Preferences. If you are facing any problem please leave a comment. UPDATE : I have posted the new instructions for configuring the automatic login thanks to Vasu d’ evan ’s comment!